illi Stein (Tenor) was born in Limburg an der Lahn. He studied voice with the vocal-soloists Pfeifle and Prof. Alfred Sandor Kónja and attended the opera school at the State Academy of Music in Stuttgart. Furthermore, he masterclasses with Maestra Prof. Raggi Valentini in Pesaro. He sang at various stages supporting opera and operetta roles, such as "The Rodolfo" from "La Bohème", "The Duke" of "Rigoletto" and "Cavaradossi" in "Tosca". In 1984, he was a participant in the Final Luciano Pavarotti Competition in Modena. homas Pfeiffer (Baritone) already unfolded his concert activities while still a student. He made guest appearance at the the Art Festival of Weimar with a "Goethe evening song" and with Schubert song cycle Die Schöne Müllerin at the Marienbad Festival in Tschechien, Mahler's of Lieder eines Fahrenden Gesellen, he made music with the Vogtland Philharmonic in Reichenbach and Greiz. He was soloist in J.S. Bach's Mass in B minor (BWV 232) with the orchestra "Les Amoureux" in Paris and with the Festival of the Besancon in France, with opera productions of works by Mozart, Haydn, Felix Mendelssohn and Smetana; with the Rossini Festival in Bad Wildbad; the Festival of Ludwigsburg, at the Danube Festival Week in Austria and with "Ars-Musica" in Berne. Beside numerous Lieder recitals and oratorio concerts in his homeland, the tours abroad with renowned choirs represent further important stations of his singing career. So, among other things, Thomas Pfeiffer has appeared with the Kantatenchor Tübingen in Orff's Carmina Burana in Spain and Bach's Matthäus-Passion (BWV 244) in Greece; with the Kammerchor Stuttgart in works of Jan Dismas Zelenka and Bach in Italy and Austria, with the Bachchor Karlsruhe in Händel's Salomo in France. Among his most important CD productions: The three Schubert song cycles, Lieder by Richard Strauss, Rückert-Vertollungen (Schubert, Clara Schumann and Robert Schumann, Johannes Brahms, Mahler, Reutter, Komma), Beethoven Lieder, the Mozart's Singspiel Zaide and and Rosssini's, Petite Messe solennelle. He has also participated in numerous TV and radio productions. Thomas Pfeiffer particpates in the jury of music competitions and gives singing courses, among other things for the German Tonkünstlerverband and the Intemationalen working group for music. Since 1992 he is a professor for singing at the National University for Music and Art in Stuttgart. he Maulbronn Cantor Choir (German: Kontorei Maulbronn) is the large oratorio choir of the monastery in Maulbronn. The choir was founded in 1948 as a federation of the Evangelic Church Choir Maulbronn and the choir of the Evangelic Seminar Maulbronn. In this tradition the choir is formed today with ambitious choral singers from the region and students and former students of the Seminar Maulbronn (gymnasium with boarding school). 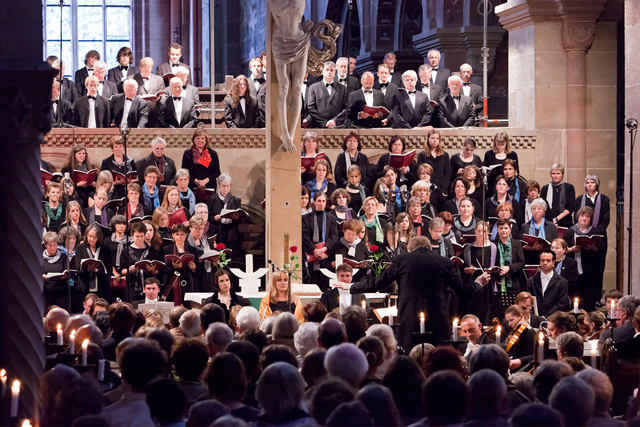 Over those many years of its existence the choir has performed the complete repertoire of popular oratorios and worked together with orchestras like the 'Southwest-German-Radio-Symphony-Orchestra Baden-Baden and Freiburg', the 'Central German Chamber Orchestra', the 'Southwest German Chamber Orchestra Pforzheim' or the 'Baden Philharmonic Orchestra'. Soloists of these performances were artists like Barbara Schlick, Maya Boog, Sandra Moon, Sophie Daneman, Marga Schiml, Elisabeth von Magnus, Hans Peter Blochwitz, Aldo Baldin, Marc Clear, Markus Brutscher, Peter Lika, Gotthold Schwarz and Ludwig Güttler. The German television station ZDF broadcasted a portrait about the Choir, and the choir has participated in live radio recordings for the SDR, SWR, Deutsche Welle and Deutschlandfunk. rof. 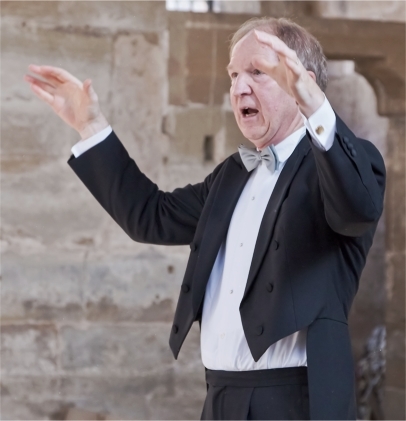 Jürgen Budday (born 1948) is conductor, director of church music, music teacher and artistic director of the concert series at the UNESCO World Heritage Site Maulbronn Abbey. He started teached at the Evangelical Seminar in Maulbronn from 1979 till 2012. This also involved his taking over as artistic director of the Maulbronn Monastery Concerts and the cantor choir in 1979. He studied church music and musicology at the Academy of Music in Stuttgart from 1967 to 1974. In 1992, he was named Director of Studies, in 1995 came the appointment as Director of Church Music and in 1998 he was honored with the "Bundesverdienstkreuz" (German Cross of Merit) as well as the Bruno-Frey Prize from the State Academy in Ochsenhausen for his work in music education. In 1983 Jürgen Budday founded the Maulbronn Chamber Choir (Maulbronner Kammerchor) with whom he won numerous national and international awards. At the Prague International Choir Festival, for example, Jürgen Budday received an award as best director. Since 2002, he has also held the chair of the Choral Committee of the German Music Council and became director and jury chairman of the "German Choir Competition" (Deutscher Chorwettbewerb). In 2008, he received the silver Johannes-Brenz-Medal, the highest honoring of the Evangelical-Lutheran Church in Wuerttemberg. Jürgen Budday was honoured in 2011 with the honorary title "Professor". In May 2013 Prof. Jürgen Budday was awarded by the Association of German Concert Choirs with the "George-Frideric-Handel-Ring" - one of the highest honors for choir conductors in Germany. Thus Jürgen Budday followed Helmuth Rilling, who was honored with the ring from 2009 till 2013. Chorus: Kyrie eleison. Christe eleison. Chorus: Gloria in excelsis Deo et in terra pax hominibus. Tenor Solo: Gratias agimus tibi propter magnam gloriam tuam. Chorus: Domine Deus, Rex coelestis, Pater omnipotens. Tenor Solo & Chorus: Et incarnatus de Spiritu Sancto. Bass Solo: Crucifixus etiam pro nobis sub Pontio Pilato, passus et sepultus est. Chorus: Sanctus, sanctus, sanctus Domine, Deus Sabaoth. Baritone Solo: Benedictus qui venit in nomine Domini. 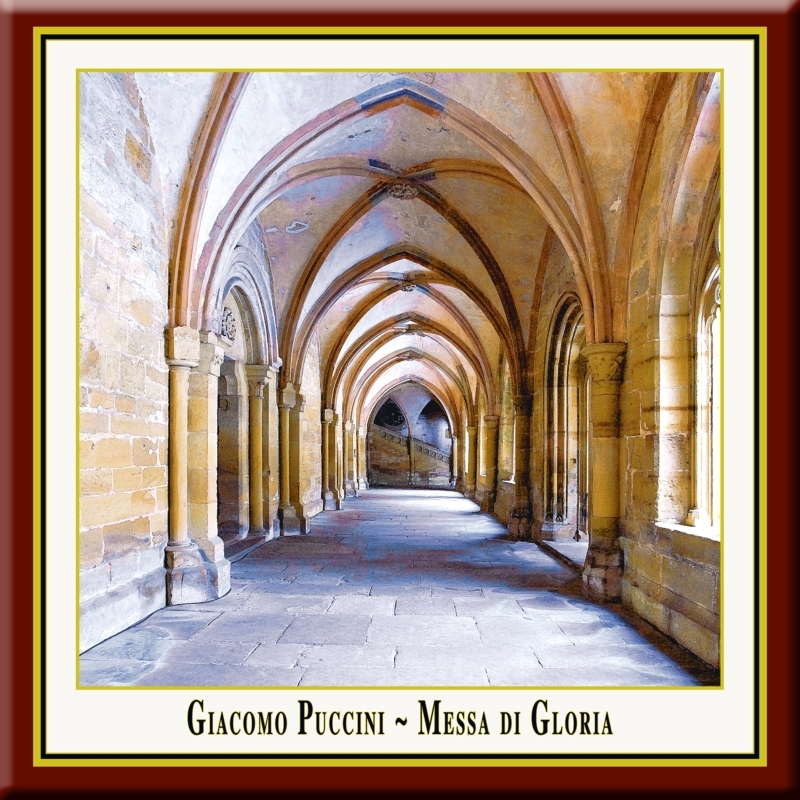 Recorded to 'Direct 2-Track Stereo Digital' in two concerts in the church of the German UNESCO World Heritage Site Maulbronn Monastery, recorded, produced & created by Andreas Otto Grimminger & Josef-Stefan Kindler in cooperation with Jurgen Budday.